Anatomy of the 8th nerve. 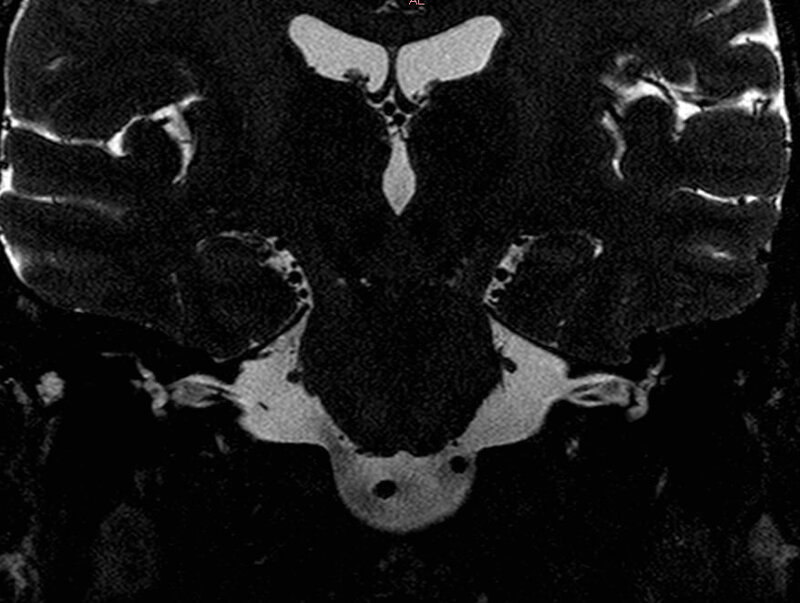 Artists rendition of inner ear and vestibular nerve MRI scan (coronal T2) showing vestibular nerves. Vestibular and cochlear nerves (cochlear nerve is just below vestibular nerve). The 8th nerve, also known as the vestibulocochlear nerve, mainly transmits information from the hearing organ (cochlea) and the vestiular organ to the brain. 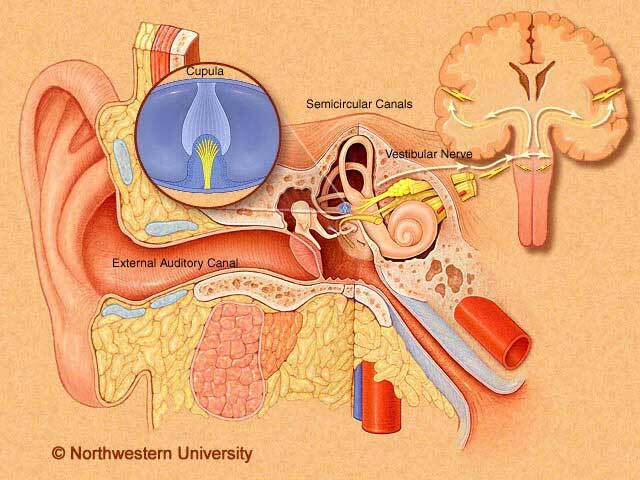 The 8th nerve traverses the internal auditory canal, which also contains the 7th nerve, the nervous intermedius, and the labyrinthine artery. The 8th nerve is very short compared to most nerves in the body. There are about 20,000 fibers in the vestibular nerve in man, of whom about half are from the otoliths (6000 utricular, 4000 saccular), and the other 10,000 are from the semicircular canals. (Buttner-Ennever JA, 1999).